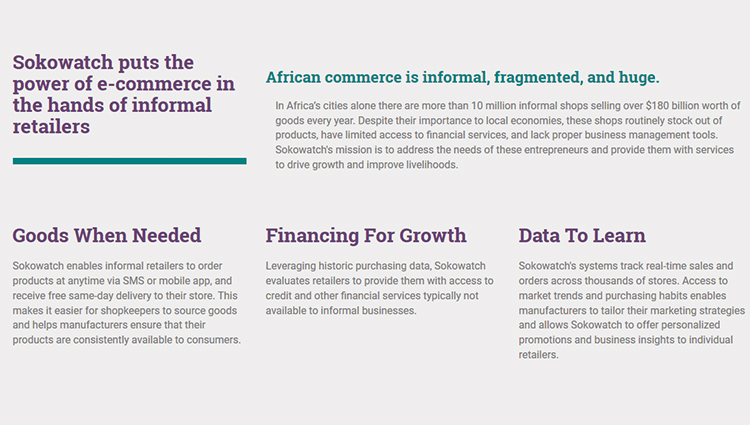 Sokowatch is an e-commerce startup connecting manufacturers directly with small retail shops in urban Africa through SMS and Android app ordering systems. 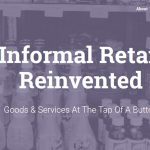 More than 10 million informal shops sell over $180 billion of goods every year, yet they routinely run out of products, lacking financial services and proper management tools. 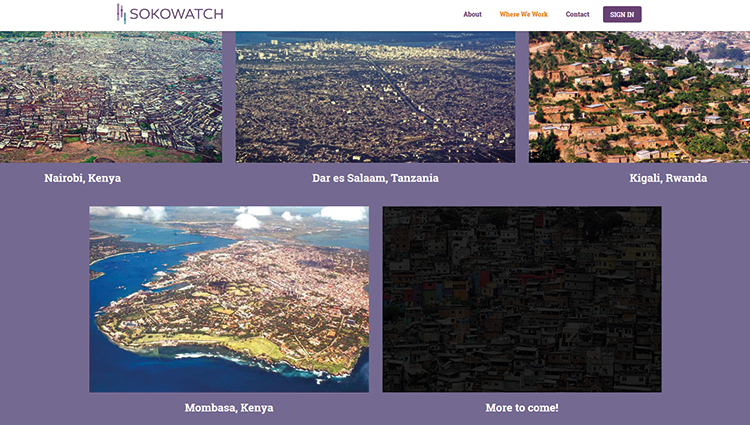 Sokowatch benefits shop owners by eliminating costs and down time. Its beautifully integrated system and nice functionality currently supplies over 3500 stores across East Africa.